The Inverness Caledonian Thistle midfielder has agreed a summer move to St Andrew's. 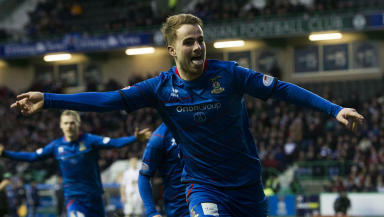 Inverness midfielder Andrew Shinnie has signed a pre-contract agreement with Birmingham City and will move to St Andrew's at the end of the season. Shinnie has been one of Inverness' key performers this season as they have made a push for a place in Europe but his current contract is due to expire and an extension was not agreed. Championship side Birmingham City made an approach to the player and have announced that he has completed a medical with them and will move south this summer. Shinnie has agreed to sign a three-year-deal with the Blues. 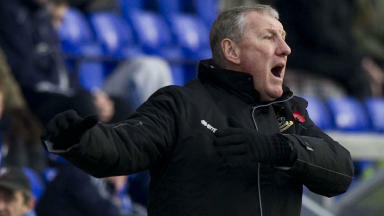 Inverness manager Terry Butcher had previously conceded that he was likely to lose Shinnie. "I think he’ll be away from here," Butcher said in March. "I think he should stay, but that is his call. "We’re probably looking beyond Andy now and who can come in to replace him."